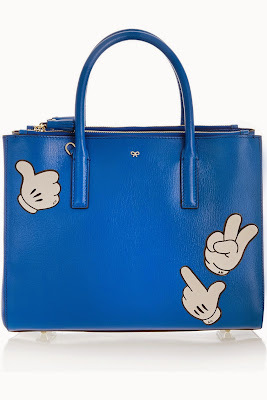 I am in love with Anya Hindmarch's leather sticker collection that is exclusively available at NET-A-PORTER . How cute are these stickers that you can adhere to your bags or leather journels to update their looks? 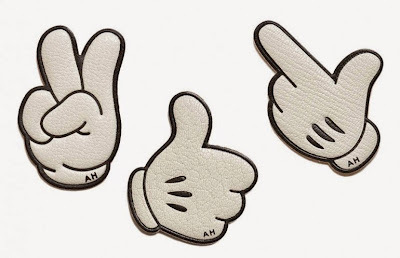 The only downside to these stickers are that they are designed to stick to the surface permanently so make sure you are happy with Mickey hand gestures before slapping them on! Can't wait to see what other stickers she comes out with next.